This week, we are going to learn about Zoroastrianism, a very important topic in history of religion (and world culture/thought) but unfortunately unknown to most. 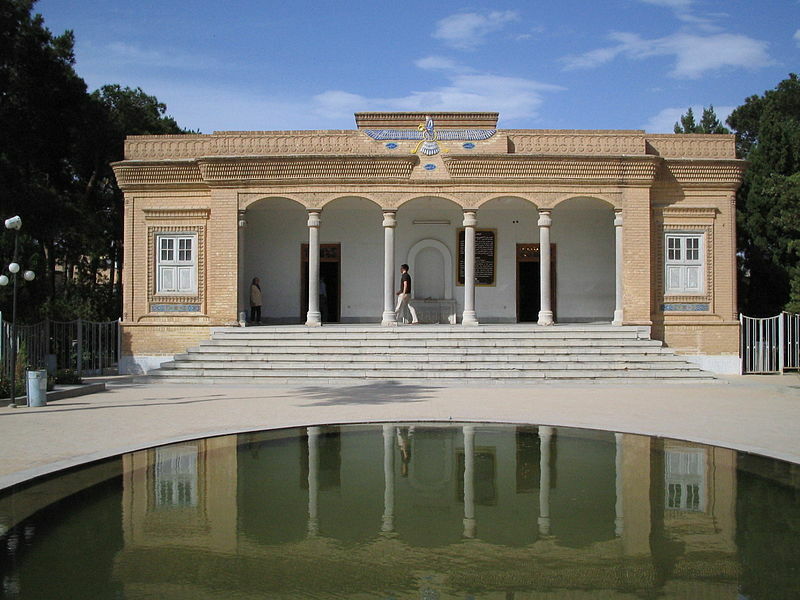 Zoroastrianism is the religion of ancient Persia (modern day Iraq and Iran). Why are we studying this religion? Just like Jainism, Zoroastrianism does not have many adherents today, but it had a tremendous impact on culture world-wide. It is especially important to study it before getting into Judaism, Christianity and Islam, which we will be studying for most of the later half of this course. Once you understand the impact, it is hard to look at world history the same way again. To put it briefly (and go into detail below) Zoroastrianism influenced not only Indian religion and Chinese Buddhism, but was a central source of ideas for Judaism, Christianity, Islam and the ancient Greeks and Romans. There is much controversy over when the prophet Zarathustra (also Zoroaster) lived, but it is agreed by scholars that the fully formed religion rose to prominence in Persia and the Middle East before 600 BCE (BC). Some put the prophet’s birth well before 1200 BCE, while others put it just before 600 BCE. Because Persia was one of the most powerful early empires, situated at the center of the European-Asian landmass, by trade and cultural exchange it came to have an influence on most of the cultures that the world has seen thus far. While our education in history tends to focus on Europe, and thus the Greeks and Romans, both of these ancient civilizations learned quite a bit from ancient Persia, the empire that controlled most of the world before Alexander and then Rome. Zoroastrianism is often credited with being the first monotheism, the first religion to proclaim that there is only one god and that many gods should not be worshiped. Originally, the Persian people worshiped many gods (just like the Arabs did before Mohammed). Zarathustra became a powerful reformer and centralizer of the Persian tribes and their beliefs into the Zoroastrian monotheistic system. How close is this monotheism to Judaism, Christianity and Islam? Zarathustra taught that there was one god, Ahura Mazda or Ormazd, the source of creation, of all goodness and light. Just as light has darkness as an opposite, and good has evil as an opposite, Zarathustra also taught that there was an evil spirit, Ahriman, that arose with creation (although just where this evil one comes from is not clear in the creation stories), the source of all death and evil. Ahriman is also called ‘the lie’ or DRUJ (the Persian root of our English word ‘drug’). Yes, this means that Zoroastrianism was the first religion to oppose a one god of all goodness and life to a polar opposite spirit/angel of death. In fact, Zoroastrianism had a complex hierarchy of angels and demons, spirits of the light and spirits of darkness, and the angels were portrayed as people with wings (yes, this is where we get this image). Ormazd has seven arch-angels who are his primary attributes personified as beings (this corresponds to the seven visible planets and the seven arch-angels in Judaism, Christianity and Islam). In the creation, there was originally one man, one plant, and one cow. Then Ahriman infected these original created beings with evil, and so they had to be killed, separated into many pieces, out of which the animals, plants, and humans of our world come into being (yes, this is quite like the dismemberment/creation accounts we have seen so far). Human beings are given FREE WILL by Ormazd, who expects humans to engage in the battle between good and evil. Those who pick good are carried on the bridge of judgment to dwell with Ormazd in heaven (literally, up with the stars as it was conceived until only recently by most cultures). According to Zoroastrian ethics, the good life consists first of RIGHT MIND (consider Confucius’ right intent), then RIGHT SPEECH, then RIGHT ACTION (notice how this trinity progresses downward from the mind to the body). Those who pick evil will dwell for a while in hell with Ahriman, but not forever. At the end of time, the third savior, the Saoshyant (there will be three in history, Zarathustra as prophet, the bringer of the kingdom, and the final ‘Messiah’ savior) will engage evil in a final battle and establish the eternal kingdom of light and good on earth. All people, whether good or evil will be resurrected and live in this kingdom eternally. It should be obvious from this alone that Zoroastrianism has a great deal to do with the Abrahamic religions (Judaism, Christianity and Islam, which all claim descent from Abraham the patriarch of Judaism). As we will learn in the following weeks, the Old Testament or Torah was formed over many centuries. The later books are influenced more and more by Zoroastrianism. In the time of Jesus, in a time of great political upheaval and great suffering, Zoroastrianism was on the rise in influence in Palestine, and there entered into Judaism the idea of the Messiah (which is very close to the Saoshyant). Many teachers and prophets were called the Messiah by many groups at the time, the one who would lead the Jews in a final battle to establish Yahweh’s eternal kingdom on earth. You remember the three kings, or the three MAGI? This is the clearest and most obvious evidence of Zoroastrian influence on Christianity. 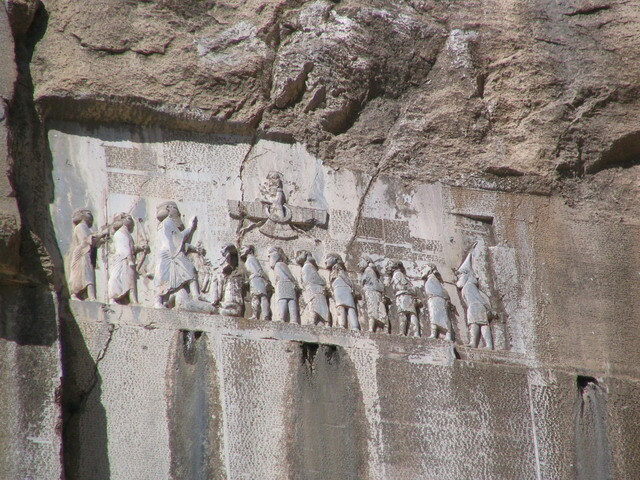 Magi are Persian Zoroastrians. When the three kings come in the New Testament, following stars (Zoroastrianism influenced many people in reading the future from stars) and bring the baby Jesus gifts, this could only mean to people who lived at the time that Jesus is the Saoshyant/Messiah, the incarnation of the one god who is establishing the eternal kingdom of righteousness. The author of that book of the New Testament is arguing that Jesus is recognized by Persian sages/kings to be the fulfillment of the Zoroastrian religion, the religion that was heavily influencing the Jews of Jesus’ time. For Jews, the Saoshyant was also identified with the arch-angel Michael, the right hand of God and the one who does battle with Satan. This does not end the parallels. Every day, the Zoroastrian priest must perform a liturgy, a reading of the sacred text and ritual that involves purified fire and holy (blessed) water. I was raised Catholic myself, and reading about the Zoroastrian liturgy has unmistaken parallels to the Catholic Mass (and of course, thus Christian worship in general). You may now be wondering why you have never heard about this religion. Now I get to rant for a second about my views. We live in a time when people believe that cultures are distinct and separate from each other. This means that we do not view culture as an evolution across history, but rather as disconnected and incompatible groups that do not share a common past. This is quite bound up with pride, with the idea that our cultures are simply right or wrong, or simply ‘mine’ or ‘yours’. Consider that Zoroastrianism also influenced Chinese Buddhism with images of light and darkness. We have a shared past, and a shared cultural history. Unfortunately, I also believe that it will take us a very long time to understand this, and I mean in circles of our most educated scholars. Renaissance philosophers like Ficcino traced all of history in a line back to Jesus, then to Plato, then to Zarathustra, but as Europe got wealthy and more powerful than anyone else had become (after Islam did much the same) Zoroastrianism faded into the past and out of identity. Europeans no longer needed to connect themselves with other more powerful people of the past, but became content to trace everything back to Greece and Rome, the route by which Europe got its Christianity. You may have seen the columns decorating our public buildings, and be familiar with the ludicrous and stupid idea that the Greeks invented ‘science’ or ‘reason’ (in fact, they got it largely from Persia and Egypt). 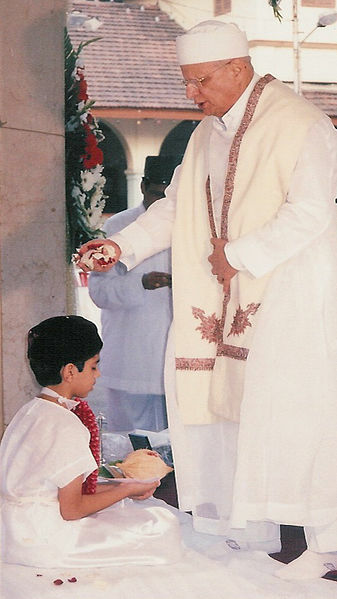 Today, there are less than 100,000 Zoroastrians, most of them living in India. There are less than 20,000 living in their original homeland of present day Iran.